1)In the case where the yarn density of the flame retardant fabric is constant, increasing the level of the cotton or using the combed yarn to increase the strength of the single yarn can effectively increase the tearing strength of the fabric, but the cost of the fabric will increase. 2)In order to do not increase the grey cost, the pre-treatment process of the fabric must be control well to reduce the strong drop of the fabric. When the flame retardant process has carried out, the fiber protective agent can well protect the strength of the fiber under the promise of ensuring the flame retardant performance of the fabric, and can effectively reduce the strength during the flame retardant processing. 3)During the flame retardant processing of the fabric, by adding a small amount of softener can make the flame retardant fabric feels softer and more flexible, thereby improving the tearing strength of the flame retardant fabric. 4)If the yarn count could slightly change, a slightly thicker yarn count can used while maintaining the weight of the fabric, which can slightly reduce the tightness of the fabric and slightly increase the twist of the yarn. Thereby increase the tearing strength of the flame retardant fabric. 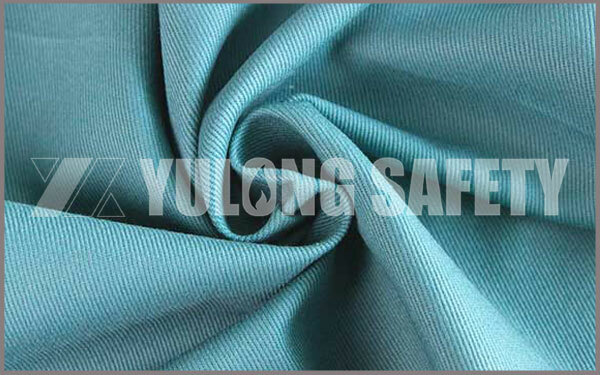 Xinxiang Yulong Textile Co., Ltd has been committed to the processing and researching of various flame retardant fabrics. , hope the methods above can help you to improve the tearing strength of the flame retardant fabric , Xinxiang Yulong give you warmly safety protection. PREVIOUS POSTFlame retardant textile: What are Inherent Fabrics and Fibers?